President Moon Jae-in has vowed a thorough investigation into the sinking of the Sewol ferry ahead of the fourth anniversary of the maritime disaster, which killed 304 people, mostly teenagers on a school trip. 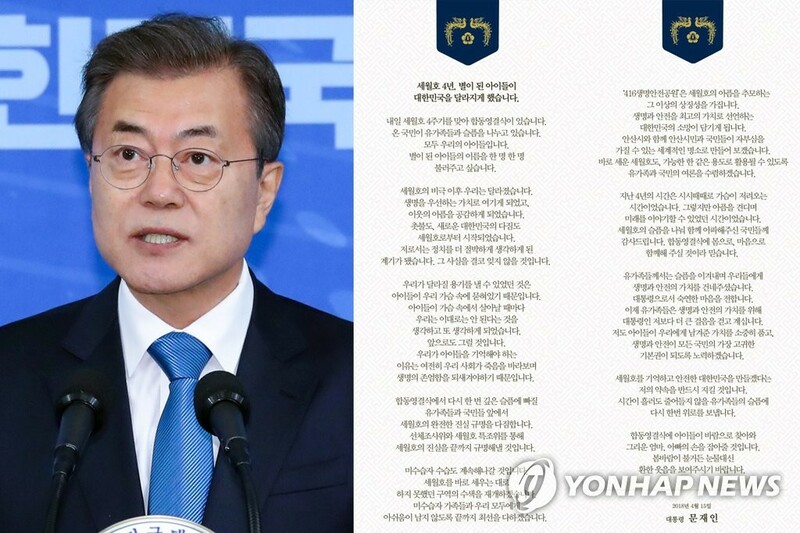 Moon made the vow on Sunday in a post on his social network site, saying that before the bereaved families and the nation, who will once again be in deep sorrow in the joint funeral service, he pledges to completely uncover the truth of the tragedy. A joint funeral service for eleven non-student victims is set for Monday afternoon. They are among 43 non-student casualties. The president also said that the search for the remains of five victims who are still missing will resume as soon as the ship is erected. 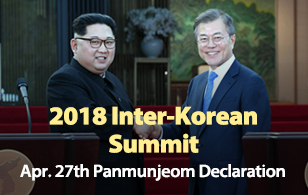 Moon said the government will build a memorial park in a way that symbolizes the value of life and safety as society's priority. The park will be built in Ansan, Gyeonggi Province, where the student victims' school is located.